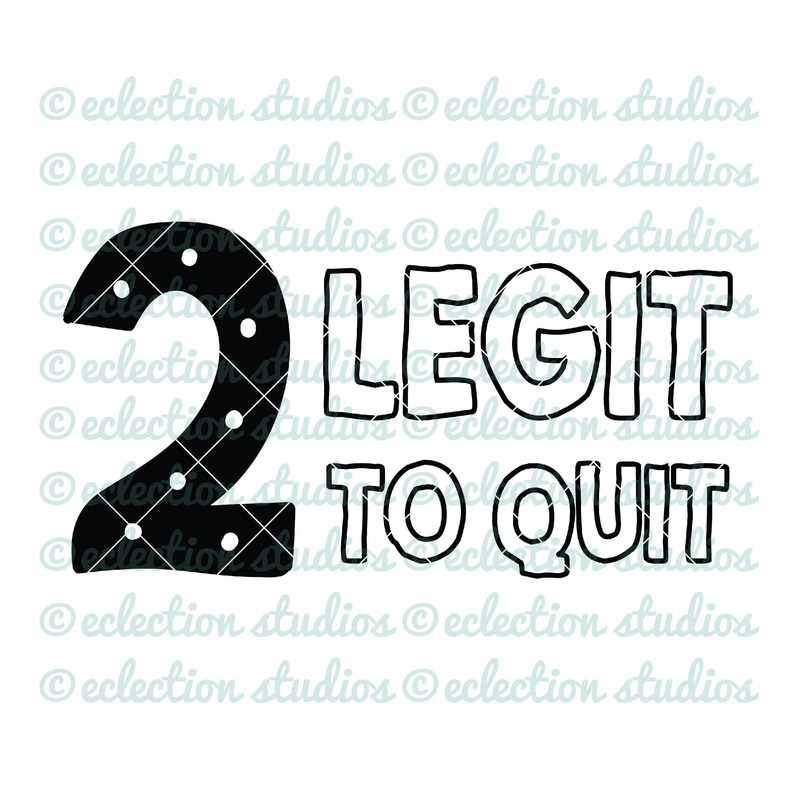 "Two Legit to Quit"/"2 Legit to Quit" second birthday shirt or sign design in JPEG, PNG, SVG, DXF, and EPS file formats ready for to print or cut and add to your own creations. Love this design! Great quality!